"This short book is meant to lay out the essentials of the Christian message, the gospel." 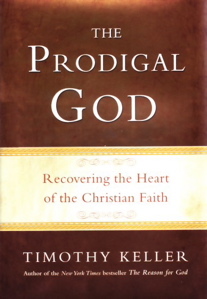 So begins Timothy Keller's new book The Prodigal God: Recovering the Heart of the Christian Faith . Keller targets both seekers who are unfamiliar with the gospel and longtime church members who may not feel the need for a primer on the gospel. Keller's book, as the provocative title suggests, is built on one of Jesus' most famous stories: the parable of the prodigal son (Luke 15). Keller consents that "on the surface of it, the narrative is not all that gripping." But, he contends that "if the teaching of Jesus is likened to a lake, this famous Parable of the Prodigal Son would be one of the clearest spots where we can see all the way to the bottom." Keller has taught from this passage many times over the years, and says, "I have seen more people encouraged, enlightened, and helped by this passage, when I explained the true meaning of it, than by any other text." The book is laid out in seven brief chapters which aim to uncover the extravagant (prodigal) grace of God, as revealed in this parable. Keller shows how the parable describes two kinds of "lost" people, not just one. Most people can identify the lostness of the "prodigal son," the younger brother in Jesus' story, who takes his inheritance early and squanders it on riotous living. But Keller shows that the "elder brother" in the parable is no less lost. Together, the two brothers are illustrations of two kinds of people in the world. "Jesus uses the younger and elder brothers to portray the two basic ways people try to find happiness and fulfillment: the way of moral conformity and the way of self-discovery." Both brothers are in the wrong, and when we see this, we discover a radical redefinition of what is wrong with us. "Nearly everyone defines sin as breaking a list of rules. Jesus, though, shows us that a man who has violated nothing on the list of moral misbehaviors may be every bit as spiritually lost as the most profligate, immoral person. Why? Because sin is not just breaking the rules, it is putting yourself in the place of God as Savior, Lord and Judge just as each son sought to displace the authority of the father in his own life." As these quotes hint, Keller's exposition of the two sons lays the groundwork for a penetrating analysis and critique of both moral relativists on the liberal left and religious moralists on the conservative right, showing that the latter are just as lost as the former. What both need is Jesus, whom Keller presents as "the true elder brother," the one who comes to our rescue at his own expense. Through his grace, we are given hope and invited to the great feast of the Father. As with Keller's preaching, this book is intelligent and winsome, combining thoughtful reflection on both text and culture with searching heart application. Keller's book is effectively illustrated with a liberal use of stories and quotations from literature, movies, and the arts. Most imporantly, the book orients the reader's heart to the hope of the gospel of God's grace revealed in Christ. One more note: for readers who may have felt intimidated by Keller's recent book The Reason for God, don't shrink away from The Prodigal God. It is probably only 1/3 of the length and much easier to read. I highly recommend it to unbelievers, seekers and established Christians. It was very helpful. Thanks for the offer of the book as well. I'll be checking out your blog - I like your content. Please sign me up. Thanks for your generosity (and your great reviews). Done. You can count me in as well. Great review. Sounds like a book worth checking out. Like Keller stated in his book and you reminded in your review; both the prodigal and the brother are wrong. Please, put me in your give away. Looks like a good book...count me in!